The use of solar lights is a great option to illuminate a sidewalk or other area around your property. The biggest downside to using these lights is the cheap,fragile plastic stakes that come in a package of lights. You can eliminate the need to use these stakes by making pillar solar lights. Pillars are made to sit on top of the ground and will be a good option if you have hard soil. You will need to determine the size to make your pillar solar lights based on where they will be located. You will also need to consider the type of container you want to use for the form to make the base. 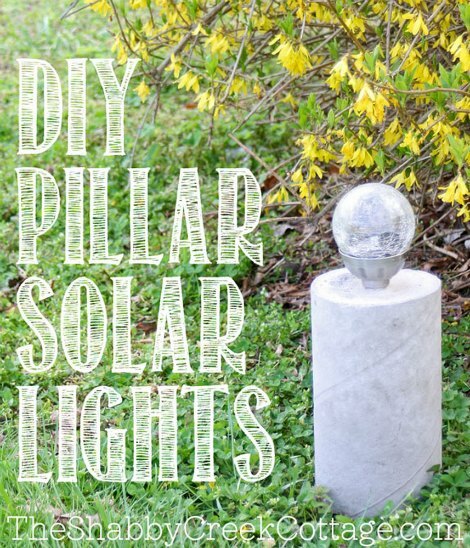 Concrete is used to provide the weight for your pillar solar lights. This will prevent the lights from falling over in the wind and give them a much more decorative look. These will be a great item to use in a garden or any areas such as a pathway.